The golden years come with their advantages. There’s the newfound freedom, for example, and the chance to relax and revel in all that you have accomplished. But your retirement years also bring age-related challenges that can really put a damper on enjoying them. It’s important for seniors to place high priority on their health and well-being, but it can be difficult to know where to begin. Here are four ways that you can place yourself first. 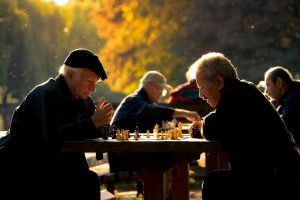 Although retirement usually includes the benefit of having more free time, having extra time on your hands can also have its disadvantages, especially if you live alone. Too much idle or alone time can lead to boredom, unhealthy inactivity, and even depression. Here a couple of activities to consider if you’re feeling isolated or unstimulated. Finding a part-time job in retirement has its advantages. Not only will you have a little extra cash coming in, but you’ll meet new people and feel a sense of responsibility that you may be missing from your working years. Joining and participating in senior groups, clubs, and organizations is often free or inexpensive, and some will even provide transportation. You can find groups that are general interest as well as others that focus on specific activities and niches. Making sure that your home is a safe place to be is important for anyone, but it’s perhaps especially vital for seniors who are more at risk of falling as well as those who live alone. Here are four simple ways to make your home a safer place. Installing grab bars is one way to provide added safety when bathing. You can also invest in hands-free toiletry dispensers that save you the hassle of slippery bar soap or handling bulky containers. It’s impossible to know exactly what toxins may be lurking in your household air, but there are steps you can take to reduce them. You can protect your home’s air quality by replacing air filters regularly and having your HVAC system checked by a repairman. Because of the current social awareness of toxins found in many cleaning and hygiene products, it has become easier to find brands that make products using only natural ingredients. You can also easily mix your own natural cleaning products using things like vinegar or lemon juice. There are a number of things that can hinder seniors from getting proper nutrition. These include a lack of transportation, dwindling finances, and medications that cause nausea or reduce appetites. It’s important for you to make healthy food choices at all ages. Try eating foods high in omega-3 fatty acids, calcium, and fiber, as well as drinking plenty of water. As a senior, it’s more important than ever to exercise regularly, and the good news is that you don’t have to put out a lot of effort. Just 30 minutes a day, 5 days a week will suffice. Walking, yoga, or swimming are gentle and effective forms of exercise for seniors. If you don’t have access to a pool at home and don’t have your own transportation, you may be able to find a senior swimming group similar to the ones discussed above that offers transportation. Then, your exercise regimen could include a social outlet as well. 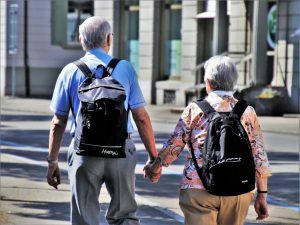 Research indicates that Americans are living longer than any other period in history. The best way to ensure your quality of life in your senior years is by addressing mental and physical health. Here are some tactics that can help make your golden years even more exciting. Not only do you need to make sure you have a primary care physician familiar with your health history, you also need to make sure you stay up to date on how you’ll pay for regular checkups, appointments with specialists, and medication. This includes keeping an eye on your Medicare plan and making changes to it as necessary. You may want to consider signing up for a Medicare Advantage plan, which offers perks that regular plans don’t cover. For instance, a Humana Medicare Advantage Plan offers benefits like a Nurse Advice Line, which saves you from the time and hassle of visiting your doctor for every little ache and pain, and enrollment in SilverSneakers, which will help you stay active throughout your golden years — another critical component of your quality of life. The body isn’t able to repair itself as quickly when we become older — not to mention, the loss of muscle mass contributes to mobility issues. Not only can regular exercise improve both of these concerns, but it can also regulate blood pressure and sugar management, boost mood, strengthen the immune system, improve gastrointestinal function, enhance cognitive ability, prevent heart disease and diabetes, and make it easier to manage weight. There’s no need to push yourself too hard. Even simple walking for 30 minutes four times a week is enough to get going. Seniors can also work out at home with exercise videos, fitness apps, and Wii games. Eating a healthy diet is crucial at every stage of life, but takes on an even more important role as our bodies change with age. Your doctor may recommend a specific diet that tailors to your unique health needs — if you need to consume more protein or calcium, for example — but in general, you’ll need to eat foods that make your microbiome happy. Not only will eating probiotic-packed and fermented foods help you stay regular, you’ll actually feel happier and more energized overall by taking care of your gut health, since doing so ramps up your body’s production of the feel-happy chemical serotonin. Research suggests that seniors can benefit from quality and quantity of sleep more than they did in their younger years. There are several tactics that can make it easier to get ample shuteye, since it can be a challenge for the elderly. This includes increasing daytime light exposure, ditching caffeine and alcohol in the evening hours, exercising early in the day, making your bedroom a cool and dark respite, unplugging from electronics at least one hour before bed, and consistent bed- and wake-up times. It’s important to stay social in order to keep your mental health in check. Some easy ways to stay socially engaged include connecting with friends via social media, joining a club or senior center, volunteering, helping out your family (such as babysitting the grandkids so your adult children can enjoy a date night), and taking up a part-time job. It’s important that you have an established primary care physician and that you visit him or her regularly. You’re more likely to prevent illness and disease when you’ve got a health care schedule in place (as well as a plan to pay for it). A pro can also direct you to other specialists and help guide you through the financial side of care, too.